The Panama Pacific International Exposition (PPIE) of 1915 had 80,000 exhibition booths spread over 3,731,500 square feet--the equivalent of 85 acres or 64 football fields. In 1911 during the planning stages of the Exposition Dr. Frederick James Volney Skiff was hired as director-in-chief of domestic and foreign participation, the same year the exposition began accepting exhibitor applications. Skiff developed an exposition taxonomy organizing the exhibition halls and the exhibitions within them according to perceived patron interest. A team of exhibition division chiefs was assembled between 1912 and 1914, who would go on to create 11 main exhibition departments, 56 exhibition categories, and 800 exhibition subclasses. 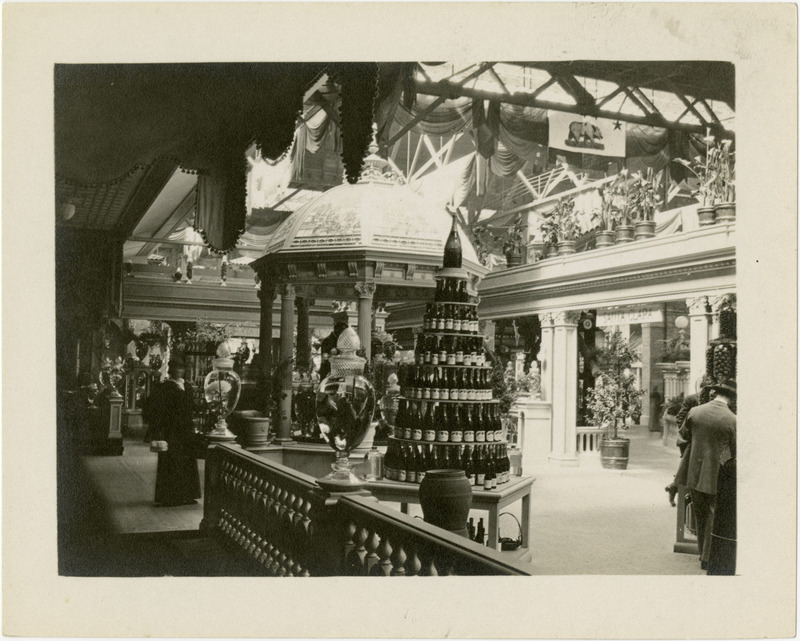 To advertise the exhibition space, brochure advertisements were mailed to industry, trade, and scientific organizations enticing them to purchase an exhibition space that included police and fire protection but more importantly would allow them to showcase their goods and wares to an international audience...remember this is before the internet! The same year the PPIE opened also marked the infancy of the implementation of building codes in America. This is reflected in the regulations established by the Exposition regarding booth construction. 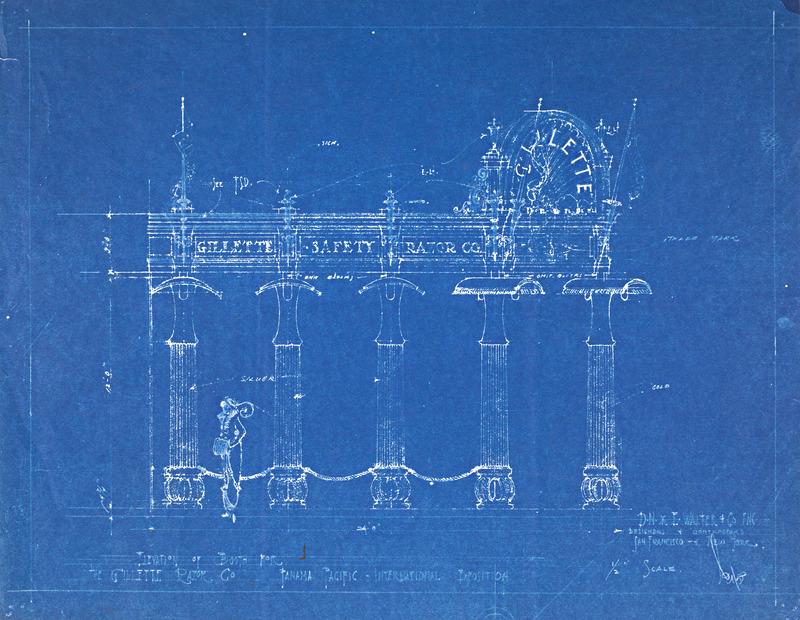 Exhibitors were expected to erect booths in the fair grounds that conformed to the exposition-defined standards. 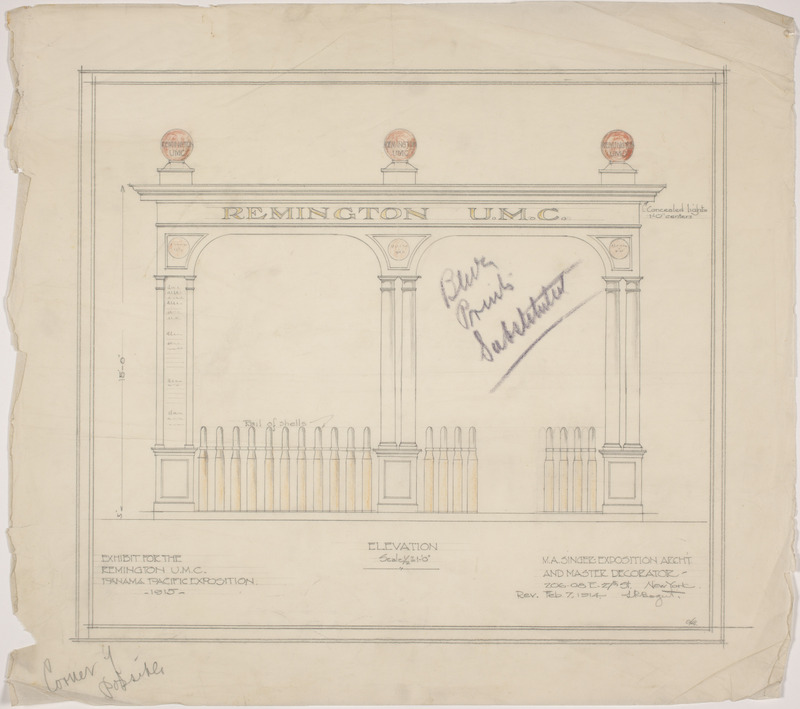 These standards included proscribed heights for display cases, table tops, cornices, and railings, among others. Even signage had to be “moderate in size and neat design.” Behavior within the confines of each respective booth was also regulated--eating was off limits, promotional materials like brochures had to be approved by the chief of that exhibition department, and goods could only be ordered and not directly sold from each booth. 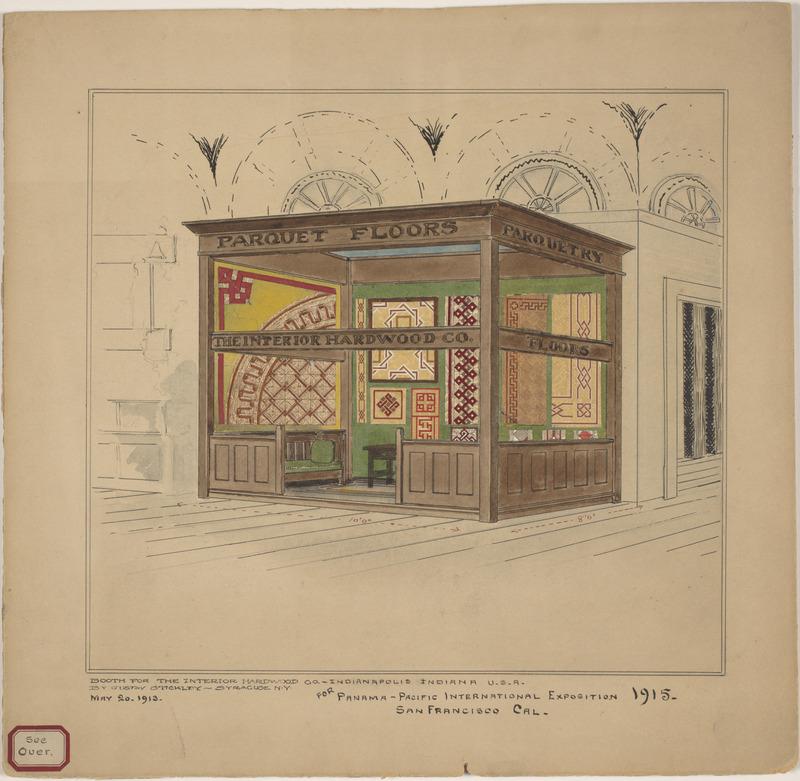 The drawings of PPIE booths in our collection would have either been located in the Palace of Manufactures (housing “more refined goods”) or the Palace of Varied Industries. To see more of the PPIE booths and buildings as well as material from the Golden Gate International Exposition, another world’s fair held in the San Francisco Bay Area 24 years later, come see the Exceptional Expositions exhibition in the Environmental Design Library on view from September 8th to December 16th, 2015.